2018 Date and Time: Sunday 6 February 2018 at 3pm. Arrive early as the Press photographers come out in force and take up a large section of the church. 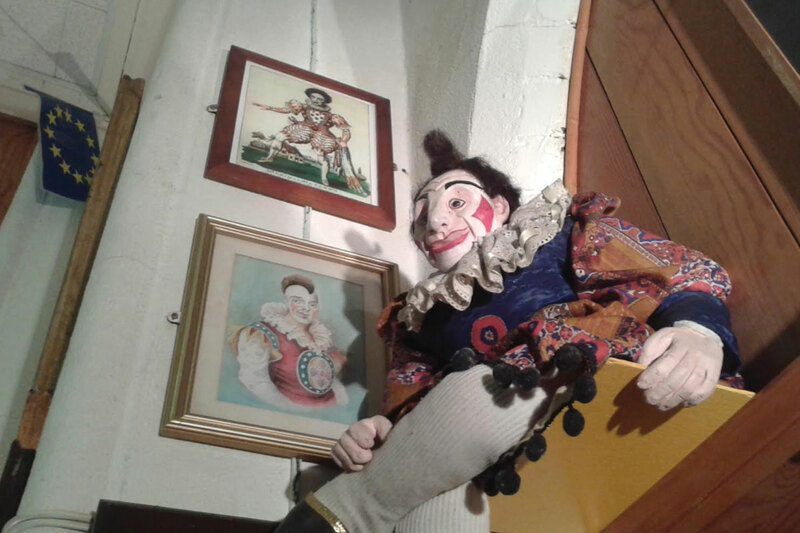 The tiny rooms house pictures of great clowns, artefacts, including eggs marked with performers’ makeup, and the costume of Coco (Nicolai Poliakoff, 1900-1974), whose name is a synonym for clowning. There is a yearly service in the local church with ALL clowns!